So Yahoo! Pipes will be ‘retired’ in a couple of months. It was a seminal tool for its time, helping people like me demonstrate and explore the potential of RSS, APIs and automation without having to become programmers first. But times move on. I’d stopped using Pipes years ago: I’d caught the programming bug and wanted to do more; and while Pipes fell into disrepair dozens of other tools were springing up showing how similar things could be done. And top of the crop has been IFTTT. IFTTT (If This Then That) was Pipes without the pipes. And although it lacked some of the functionality and control of Pipes (searching multiple sites all at once was a particular favourite), it more than made up for that with simplicity of interface and an ever-growing list of services it supported. The proposition was a clear one: if you’re having to anything more than once, get IFTTT to do it for you. Cross-posting from WordPress to Facebook? Automate it. Saving all the tweets using a particular hashtag? Automate it. When I first started using IFTTT there were around a dozen ‘channels’ you could connect: mainly social media and blogging services like Twitter, Facebook and WordPress – and of course, any RSS feed. Now there are dozens and dozens of channels: not just newer social media platforms including Instagram and Pinterest, but email and phonecall triggers, iOS reminders and notifications, wearable tech like Nike+, Android Wear and Fitbit, connected home devices like WeMo light switches and Honeywell thermostats, connected car devices like Dash and Mojio, and triggers from your mobile phone including its location and text messages. As the world has become more connected, so IFTTT has grown in potential. It is also one of the clearest demonstrations of how ‘visible’ we are when we connect to the web: sharing everything from the temperature of our house and the speed of our car to the position of our phone, and our partner’s phone. Like Pipes you can set all sorts of filters, and you can browse, search and adapt ‘recipes’ by other users, including ‘notify me of a zombie apocalypse‘. Of course, it’s a gateway drug to programming. By demonstrating one of the most basic concepts in programming – the ‘if’ – and how much time you can save with just that, it makes you want to do more. And it opens you up to the world of possibilities that comes with working with developers. You may never have used Pipes, but it’s probably a good time to play with IFTTT. Tony Hirst has written about the announcement and how that reflects changes in the culture of web companies. Adam Tinworth has pointed out that many organisations relying on pipes created by departed staff may find that things stop working.Ghacks Technology News outlines alternatives ClickScript, Quadrigram, and Superpipes. This entry was posted in online journalism and tagged Yahoo! Pipes on June 10, 2015 by Paul Bradshaw. If you are working with data chances are that sooner or later you will come across XML – or if you don’t, then, well, you should do. Really. There are some very useful resources in XML format – and in RSS, which is based on XML – from ongoing feeds and static reference files to XML that is provided in response to a question that you ask. All of that is for future posts – this post attempts to explain how XML is relevant to journalism, and how it is made up. XML is a language which is used for describing information, which makes it particularly relevant to journalists – especially when it comes to interrogating large sets of data. This entry was posted in online journalism and tagged f1, feedburner, firebug, MySociety, parliament parser, RSS, xml, Yahoo! Pipes on April 11, 2011 by Paul Bradshaw. 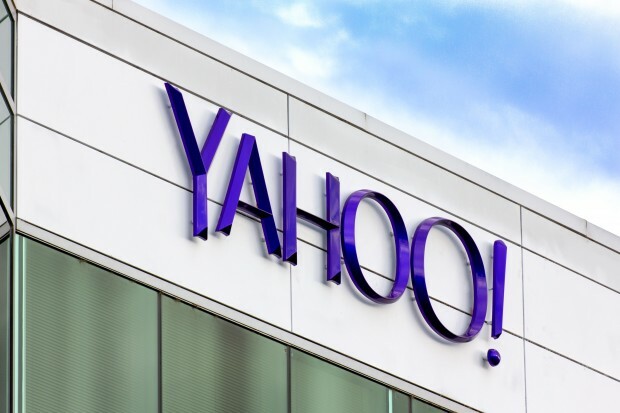 I’ve been writing about Yahoo! Pipes for some time, and am consistently surprised that there aren’t more books on the tool. Pipes Tutorial – an ebook currently priced at $14.95 – is clearly aiming to address that gap. The book has a simple structure: it is, in a nutshell, a tour around the various ‘modules’ that you combine to make a pipe. Some of these will pull information from elsewhere – RSS feeds, CSV spreadsheets, Flickr, Google Base, Yahoo! Local and Yahoo! Search, or entire webpages. Some allow the user to input something themselves – for example, a search phrase, or a number to limit the type of results given. And others do things with all the above – combining them, splitting them, filtering, converting, translating, counting, truncating, and so on. When combined, this makes for some powerful possibilities – unfortunately, its one-dimensional structure means that this book doesn’t show enough of them. While the book offers a good introduction into the functionality of the various parts of Yahoo! Pipes, it rarely demonstrates how those can be combined. Typically, tutorial books will take you through a project that utilises the power of the tools covered, but Pipes Tutorial lacks this vital element. Sometimes modules will be combined in the book but this is mainly done because that is the only way to show how a single module works, rather than for any broader pedagogical objective. At other times a module is explained in isolation and it is not explained how the results might actually be used. The Fetch Page module, for example – which is extremely useful for scraping content from a webpage – is explained without reference to how to publish the results, only a passing mention that the reader will have to use ‘other modules’ to assign data to types, and that Regex will be needed to clean it up. This entry was posted in online journalism and tagged ebook, fetch page, regex, review, Yahoo! Pipes, yql on October 21, 2010 by Paul Bradshaw. This is a draft from a book chapter on data journalism (part 1 looks at finding data; part 2 at interrogating data; part 3 at visualisation, and 4 at visualisation tools). I’d really appreciate any additions or comments you can make – particularly around tips and tools. UPDATE: It has now been published in The Online Journalism Handbook. Wikipedia defines a mashup particularly succinctly, as “a web page or application that uses or combines data or functionality from two or many more external sources to create a new service.” Those sources may be online spreadsheets or tables; maps; RSS feeds (which could be anything from Twitter tweets, blog posts or news articles to images, video, audio or search results); or anything else which is structured enough to ‘match’ against another source. This ‘match’ is typically what makes a mashup. It might be matching a city mentioned in a news article against the same city in a map; or it may be matching the name of an author with that same name in the tags of a photo; or matching the search results for ‘earthquake’ from a number of different sources. The results can be useful to you as a journalist, to the user, or both. This entry was posted in blogging and tagged apis, data journalism, datamasher, friendfeed, google public data explorer, jumbra, MapTube, mapumental, mashups, online journalism book, twazzup, xfruits, Yahoo! Pipes on May 4, 2010 by Paul Bradshaw. This is a draft from a book chapter on data journalism (the first, on gathering data, is here). I’d really appreciate any additions or comments you can make – particularly around ways of spotting stories in data, and mistakes to avoid. This entry was posted in data journalism and tagged adrian short, Charles Arthur, cleaning data, data, data journalism, google refine, kaiser fung, online journalism book, scraping, tony hirst, trim, Yahoo! Pipes on April 26, 2010 by Paul Bradshaw. RSS and mashupsView more presentations from Paul Bradshaw. This was the final session in my undergraduate Online Journalism module (the other classes can be found here), taught last May. It’s a relatively brief presentation, just covering some of the possibilities of mashups and RSS, and some tools. The majority of the class is taken up with students using Yahoo! Pipes to aggregate a number of feeds. I didn’t know how students would cope with Yahoo! Pipes but, surprisingly, every one completed the task. As a side note, this year I kicked off the module with students setting up Twitter, Delicious and Google Reader – and synchronising them, so the RSS feed from one could update another (e.g. bookmarks being published to Twitter). This seems to have built a stronger understanding of RSS in the group, which they are able to apply elsewhere (they also have widgets on their blogs pulling the RSS feeds from Twitter & Delicious; and their profile page on the news website – built by Kasper Sorensen – pulls the latest updates from their Twitter, Delicious and blog feeds). This entry was posted in online journalism and tagged classes, lessons, mashups, Yahoo! Pipes on March 12, 2010 by Paul Bradshaw.